This program intends to answer the general question: "Can a motor intervention program designed uniquely for children with motor difficulties help them improve motor, social, and psychological abilities? And if so, how?" Children with motor difficulties (also know as Developmental Coordination Disorder (DCD), a prevalent yet under-recognized movement skill disorder that significantly affects everyday functioning) often spend recess alone, generally choose more quiet activities, show low engagement in social play or organized sports, perceive less enjoyment as well as less support in daily activities, and tend to suffer from emotional and mental health issues. We know that individualized intervention can help, but little is known about how the dynamics of the group can improve different aspects of a DCD child's well-being. Our lab has implemented the program a year ago and so far, we have been seeing many interesting results. However, to expand the project, invite more children, and improve our assessment and intervention methods, we need more equipment for testing and the intervention and to hire a program manager, a person that can be responsible the program. UPDATE (09/03): $5,000 Stretch GoalWow!! We're so excited that we reached our initial goal of $2,765 in less than 30 days of fundraising! The budget covered the project for a whole semester, but I wanted to stretch it so we can cover a Program Manager for another semester (+ $2,250). Hi! 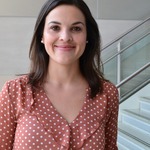 My name is Priscila Caçola and I'm an Assistant Professor in Kinesiology at the University of Texas at Arlington. I have recently been honored with the Lolas E. Halverson Motor Development Young Investigator Award (2013), a distinction given in recognition of outstanding contributions to research in motor development and learning (super cool!!!). My research agenda relates to the development of motor skills in children with developmental coordination disorder. I'm specifically interested in how children with DCD respond to the group dynamics in motor intervention settings. About a year ago I started the Little Mavs Movement Academy, a group program designed for children with low motor ability. It was a professional dream coming true! In September the LMMA will begin its third season and everybody - me, students, kids, and parents - is really excited.